Sometimes I come across some products that do not seem to make any sense. I had that exact feeling when I first discovered CYCPLUS A2, an air pump with a battery, and a flash light to top it out. 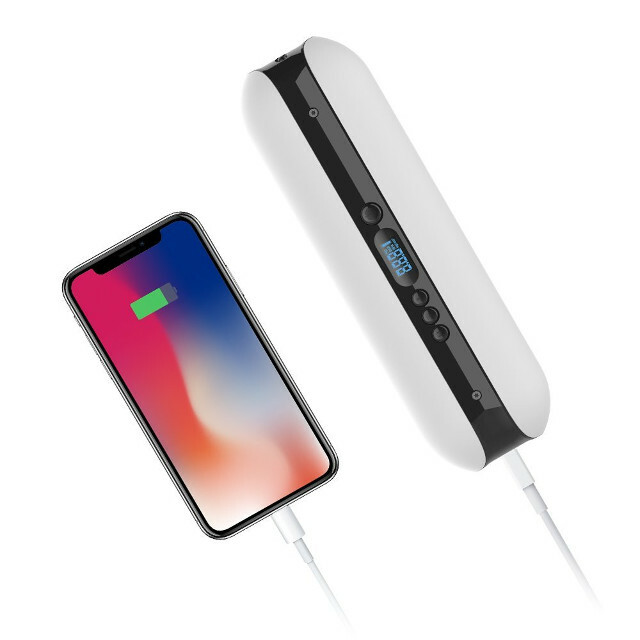 But as I read more about it, this 3-in-1 gadget may indeed be useful to cyclist, since it offers a convenient way to inflate tires, provides backup power for your smartphone, as well as a backup light in case the one on your bike gets broken for instance. 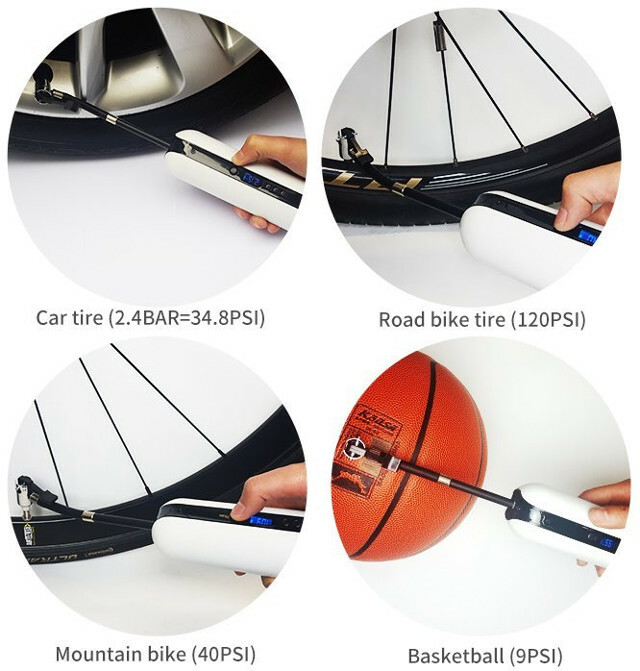 Beside mountain and road bike tires, the pump can also be used for car tire, basketball, football, and other inflatable equipment. Connect one end of the air tube to the air pump, connect the other end to the tire valve. Long press the POWER button to turn on the power. The LCD will display the current pressure. Pressing the UNIT button can switch the units (PSI, BAR, KPA, kgf/cm2). The + Button and – Button are preset buttons for adjusting the target pressure. Long press them can adjust the target pressure quickly. Pressing the POWER button will start inflating. Pressing it again will pause/continue. It will stop automatically when it reaches the target pressure. Quickly remove the air tube from the tire to prevent air leaks. The air pump will not work when the target pressure set is lower than the current tire pressure. The video below shows the pump in action. CYCPLUS A2 can be purchased for $50 and up on Amazon or eBay. CYCPLUS also showcases some other “smart accessories” for bicycles – such a GPS enabled bottle holders, smart tail lights – on their website.